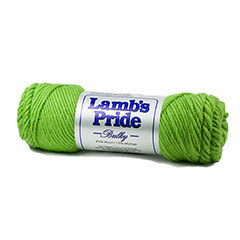 Cotton Classic Yarn by Tahki Yarns is the highest quality 100% mercerized cotton. 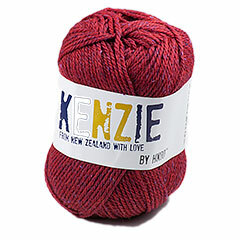 This DK-weight yarn is available in a wide range of colors and is perfect for year-round garments. 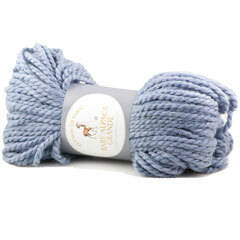 Baby Alpaca Grande from Plymouth is a hypo-allergenic, very soft to touch and very lightweight 100% Baby Alpaca. 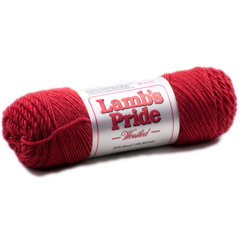 This yarn is perfect for knitting into cozy sweaters, pullovers, vests, hats or any quick-knit project you can possible think about. 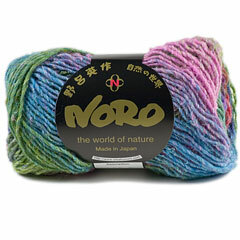 Caribou Yarn by HiKoo. 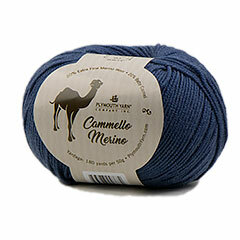 This incomparably soft, fluffy yarn will be an instant favorite in your knitting basket. 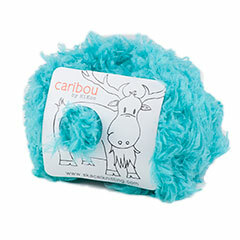 This versatile nylon yarn is perfect for fuzzy toys, cozy baby blankets and elegant faux fur garments alike. 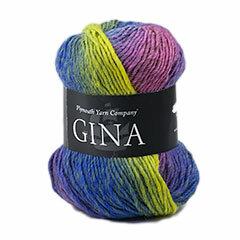 Keep the knitting simple and let the yarn do all the work! 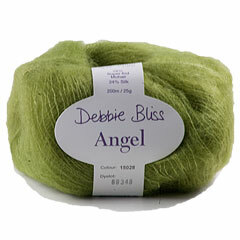 Gauge: 2 1/2 sts per 1"
Angel yarn from Debbie Bliss is an airy blend of super kid mohair and silk. With a subtle luster, gentle fuzziness and beautiful color palette this delicate yarn will create dainty garments that are warm with beautiful drape. 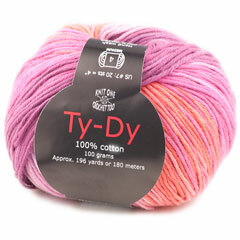 Gauge: 4 1/2 - 6 sts per 1"
Ty-Dy is wonderful multi-colored, rainbow-dyed 100% cotton from Knit One Crochet Too. 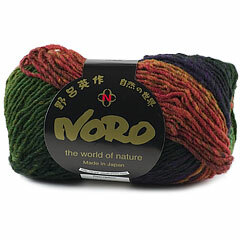 This super-soft and smooth yarn is fun and pleasure to work with and ideal for spring - summer garments or accessories. 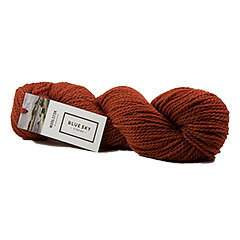 Gauge: 20 sts per 4"
CoBaSi DK Yarn from HiKoo. The admired blend of cotton, bamboo, silk, and elastic nylon is back for another debut in a versatile DK weight of 5.5-6 stitches per inch. 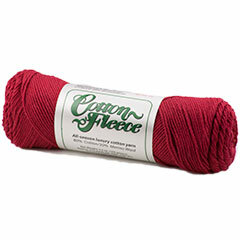 The soft, machine washable blend makes for a vast range of possibilities from summer tops, to wool-free sweaters, blankets, and accessories. 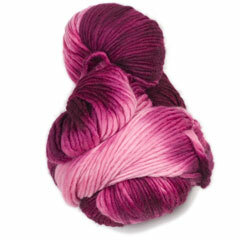 CoBaSi DK yarn comes in a wide range of colors to please any palette. Gauge: 5 1/2 - 6 sts per 1"